This weekend in DC was full of 65 degree weather and outdoor fun. By fun I mean happy hour, dinner, shopping, and magazine reading. Just in case you were wondering if I ran or bicycled (word?) or something. This weather is making me feel inspired. 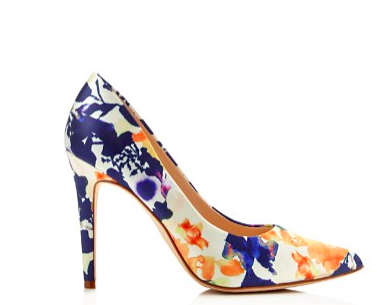 Last week we looked at floral pencil skirts and today I thought we would continue the floral trend with some heels. 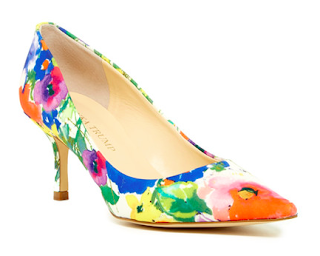 Perfect for spring and colors for days. Half off and dying for a night out. 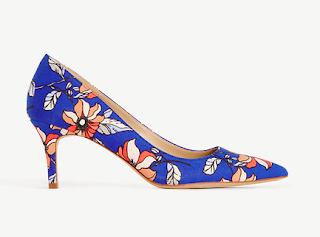 Come on, $40 with some white jeans and a silk blouse, yes. Planning to wear any white eyelet this summer? These are going to be your go to. I feel it's only fair to tell you when I buy things that I blog. This is one of those times. $49. Free shipping. Hello. 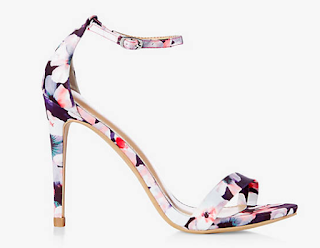 These shoes are made for strutting. A real statement maker during wedding season too! Spring means florals and I love to see them pop on heels, especially when the pattern continues all of the way down the heel. A small detail that makes a difference.